In case of a dental emergency, do not panic. 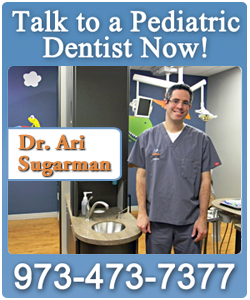 We are here for you whenever your child has a dental emergency. Keep calm, and call our office for help. When it comes to a child's dental emergency, the first thing to remember is to stay calm. Given that children are always running around and getting themselves into mischief, injuries to the face are likely to occur. Do not panic. By staying cool and reacting promptly, the damage can be minimized and your child can be back outside in no time. It is important to seek emergency dental care from a pediatric dentist trained for such occasions. Knocked Out Teeth: Time is an important factor when it comes to your child's teeth being knocked out. Call us about the incident within 30 minutes at the latest. If the tooth is permanent, place it in a cup of milk or cool water. If you have a kids' dentist emergency, or would like more information about pediatric dental care, contact Clifton Pediatric Dental Care at 973-473-7377.